With Memorial Day weekend behind us, we're in full-blown summer mode—and with steamier temps comes the necessity for sweatproof hair. So thank you, internet, for facilitating a heat-friendly "trend" that in reality, is something we all already knew how to do. Meet "Octopus Buns," aka the new (admittedly adorable) name for your most low-maintenance 'do. 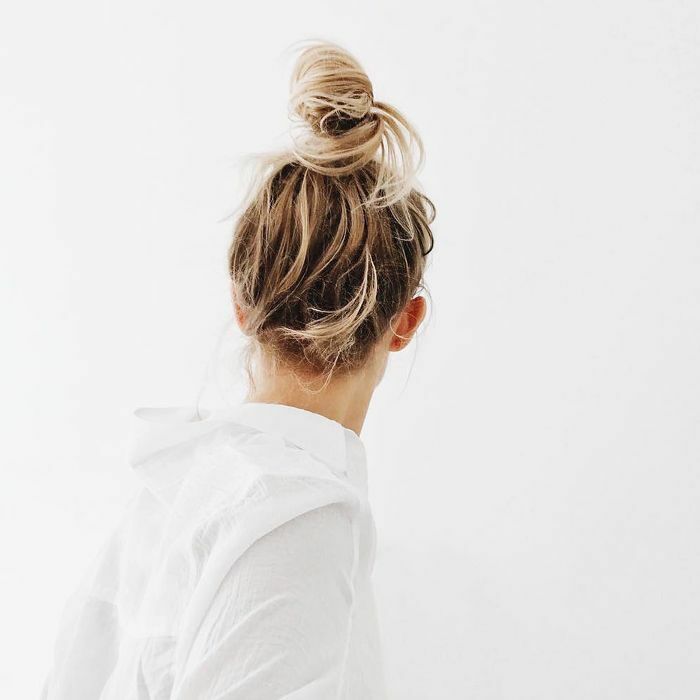 If you are in the habit of tossing your hair into a lackadaisical topknot while lounging around the house, heading to the gym, or just trying to get one more day out of unwashed strands, then you're already a step ahead of the Octopus Bun trend. Seriously: It's simply a messy bun with strands poking out of the elastic. But this is 2017, and everything—even your most DGAF hairstyle—needs a name with viral potential, right? If you haven't guessed the origins of this nomenclature just yet, we can trace it back to the editors at PopSugar—the idea is that the bun itself looks like the body of an octopus, while the loose ends are the tentacles. See what they did there? To keep the resemblance at its finest, try to make all of the strands a similar length and situated evenly around the base of the bun. A little texture helps too. Reach for a formula like Rahua Freestyle Texturizer ($34) for perfect, squiggly "tentacles." There you have it: All of 15 seconds, and you're out the door. Your hair isn't technically messy, though. It's trendy. Shop more of our favorite summer hair products below. Next, read about the other bun trend that's taking over Pinterest.